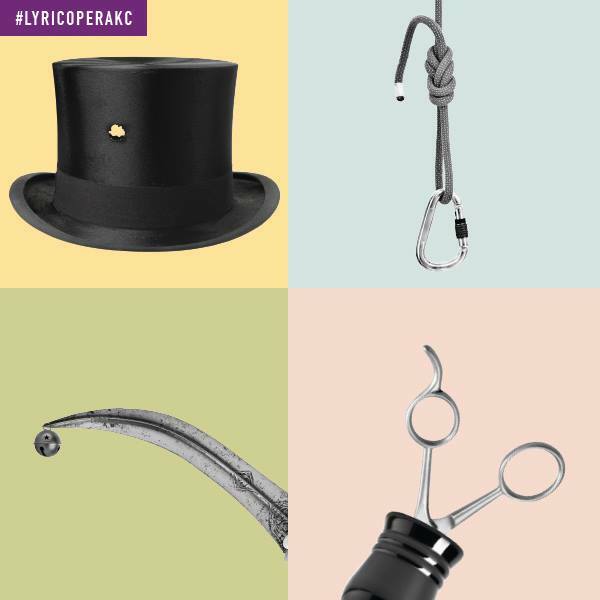 The Lyric Opera of Kansas City is one of the nation’s premier regional opera companies, performing at the Kauffman Center for the Performing Arts. We have partnered with the Lyric Opera to bring you two chances to win a pair of tickets to an exciting and unique performance. 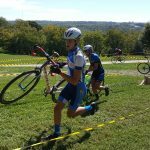 They have a full season of great performances but one in particular will be of particular interest to the sports community. 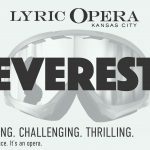 The Lyric Opera is bringing Everest to the Kauffman Center this fall! 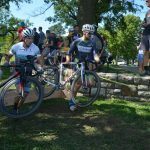 We highly recommend you take advantage of the generous, 15% discount the Lyric Opera is offering Prologue Cyclocross participants! Head over the Lyric Opera Website and use the code PROLOGUECROSS to get your discount and check out this unique production. 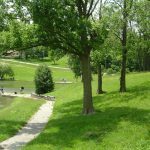 The discount code is good September 1st through October 31st. We will draw one name from all racers who are pre-registered by Monday, August 21st. 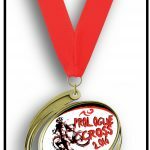 So make sure you don’t delay, and get your name in the drawing by registering online for one or both days of the Prologue Cross weekend. “This contemporary tragedy brings to life the white-knuckle rush and devastating true stories of three climbers caught in a blizzard on Mt. 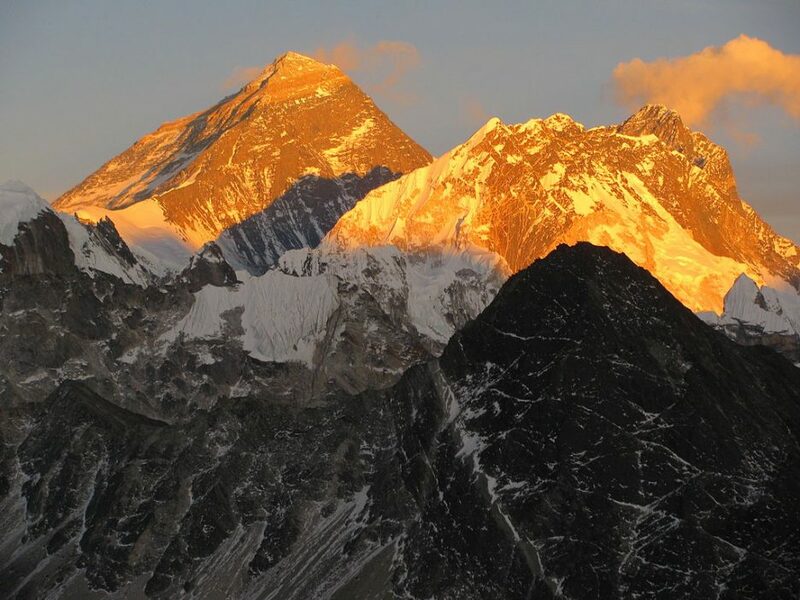 Everest in 1996. 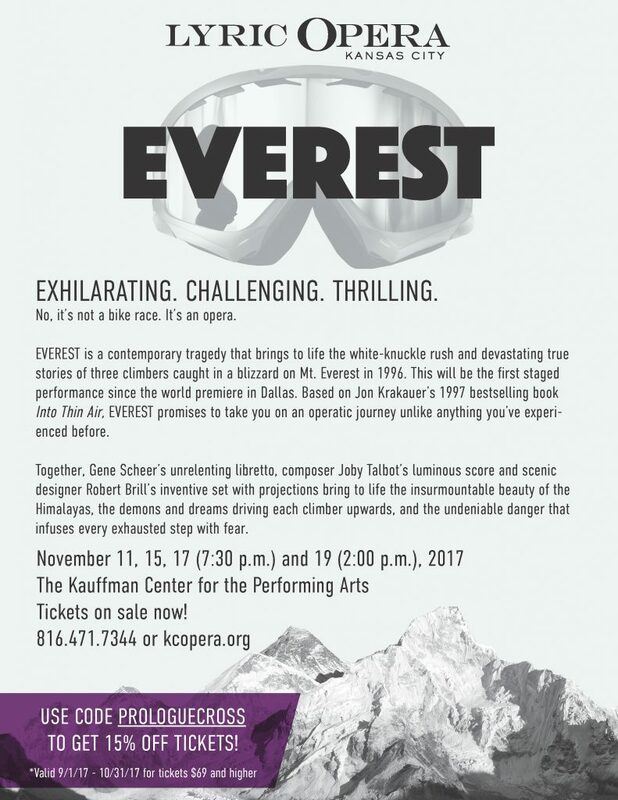 As the first staged performance since the world premiere in Dallas, Everest promises to take you on an operatic journey unlike anything you’ve experienced before. 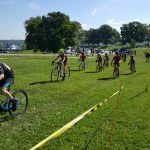 Please head over to the Lyric Opera Facebook Page and leave a note of thanks for supporting the local cycling community.